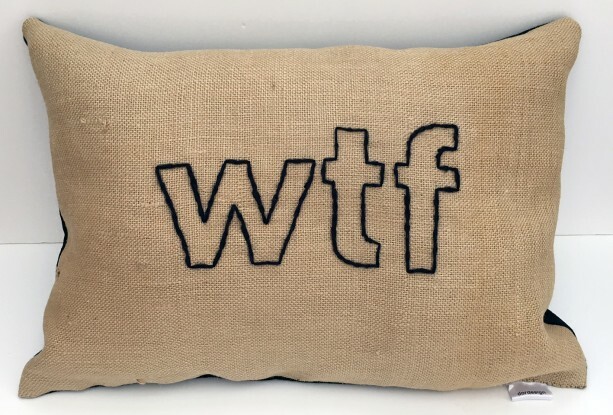 21" x 15" pillow that says lets everyone know what you're thinking. 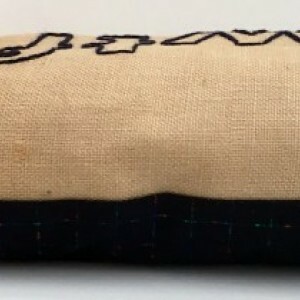 Burlap front with deep navy embroidery. 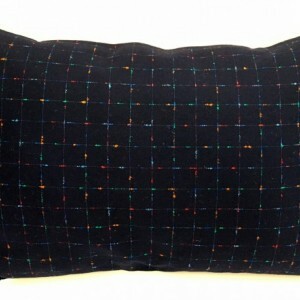 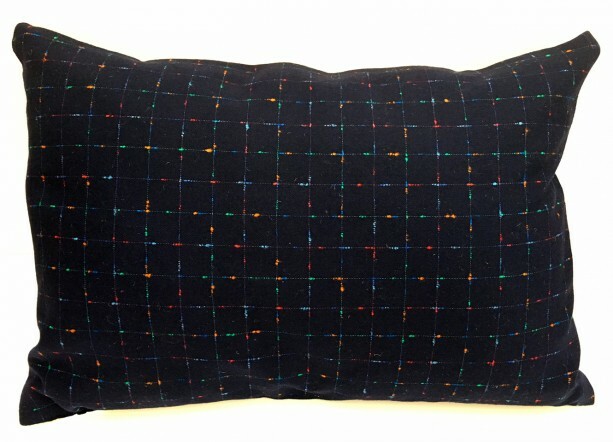 Woven navy wool with multi color grid pattern on back. 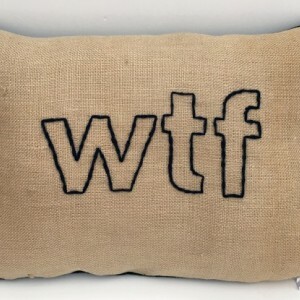 Lovingly hand stitched. 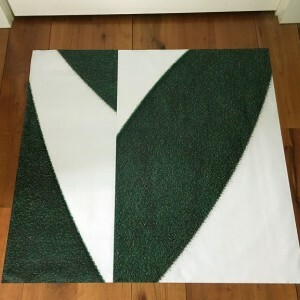 Poly insert, no zipper.